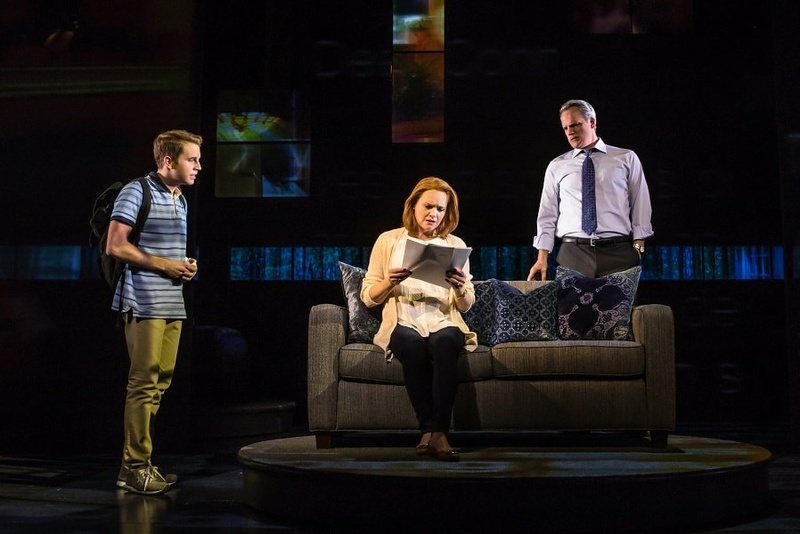 Ben Platt stars in "Dear Evan Hansen," a musical by composer team Pasek and Paul. 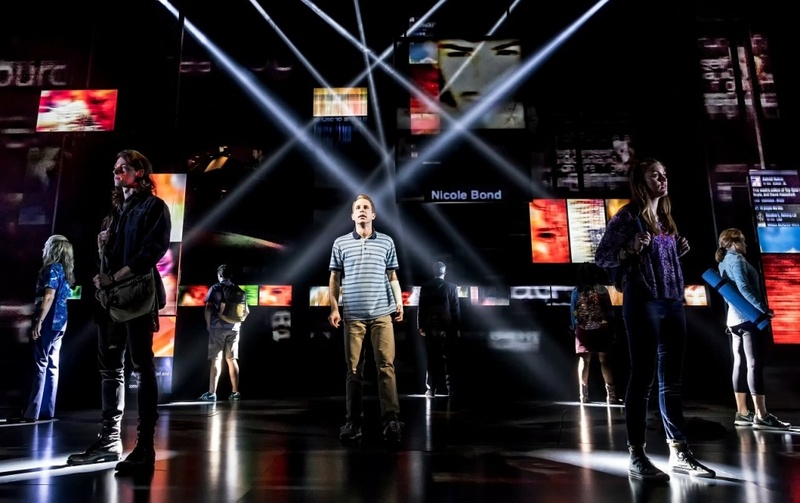 UPDATE: "Dear Evan Hansen" won the Grammy for Best Musical Theater Album. The show won six awards at the Tonys, including Best Musical and Best Score for Justin Paul and Benj Pasek. Justin Paul and Benj Pasek forged their songwriting partnership at the musical theater program at the University of Michigan and they haven't looked back since. Most recently, they were commissioned by director Damien Chazelle to write song lyrics for “La La Land." But that's not the only thing Pasek and Paul have going these days: They wrote the songs for the hit Broadway musical, “Dear Evan Hansen,” a tale of a lonely high school boy, and they are currently working on a movie musical about P.T. Barnum that will star Hugh Jackman. A few weeks ago, The Frame's host John Horn met with Pasek and Paul in Brooklyn, where the Barnum movie, called "The Greatest Showman," was in production. Paul started the conversation by describing the unusual way in which their partnership began. Lyricists Benj Pasek and Justin Paul attend the premiere of Lionsgate's "La La Land" at Mann Village Theatre on December 6, 2016 in Westwood, California. Paul: We went to the University of Michigan to be musical theater majors and we thought we were going to be actor/singer/dancers, which is sad to think about now. We were in all of our classes together, including ballet. That was sort of what bonded us initially was the fact that we were the two worst dancers in our ballet class. So we would spend a lot of our time figuring out ways to hide behind each other from our teacher. Paul: I think we started looking at it in a very cynical way. 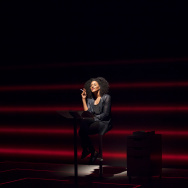 And then as we started writing the show, and then got with our collaborators — Steven Levenson, our book writer, and Michael Greif, the director — we realized that wasn't the show we wanted to write. We didn't want to write this cynical, jaded look at our generation or our society today and how we all just want to glom onto a tragedy to be part of it. [We wanted to] really realize, What's the other side of it? What's the very human, broken or disconnected side of it that would make someone in that moment respond that way? Pasek: We went through many drafts and we worked with ["Hansen" book writer] Steven Levenson for a year before we really found any of our songs that fit the story. We felt like we were on the right path when we started to write the song, "Waving Through a Window." It's sort of the first time you hear inside his head. He's our lead protagonist and he's a really lonely boy who is watching the world pass by and he doesn't know how to be a part of it or how to engage in it. When we found a musical style and a lyrical style to convey those internal thoughts, it really dictated a lot of the rest of the sound for the show. Pasek: Something that I think we're always trying to do is to not be overly sentimental and too saccharine. 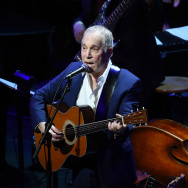 But one of the ways we tried to achieve that, especially with Steven, is that even when someone's singing something that's pure to their heart, there's constantly something undercutting it — it's based on dishonesty or it's based on having to go around something. Even if someone is being completely genuine, you as an audience know that there's this dramatic irony at play, and so we know that there's a level of subtext there. I think it gave us permission to sing from the heart, but always not be too drowned in sentimentality. 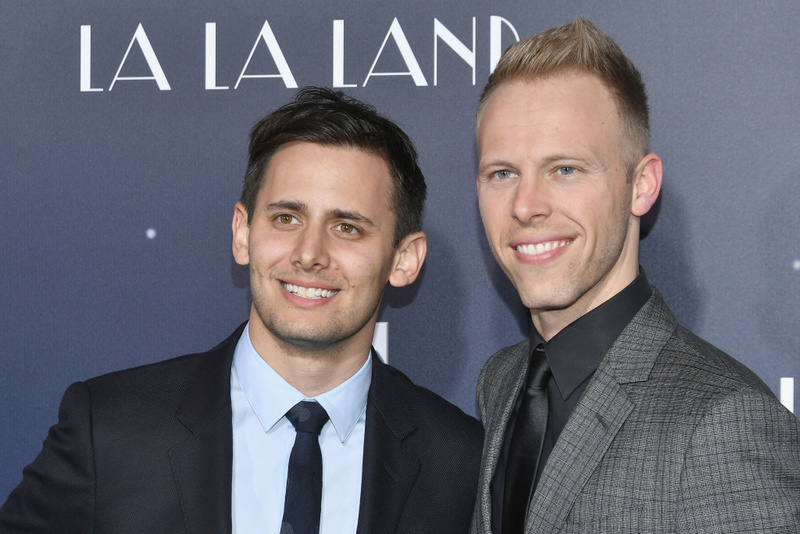 Pasek and Paul wrote the lyrics for the movie musical "La La Land." It's not the way that we traditionally write, but it was really informative because when you have someone like Damien [Chazelle], who has such a clear vision — not only as the director, but as the screenwriter — he really could speak with authority on character. 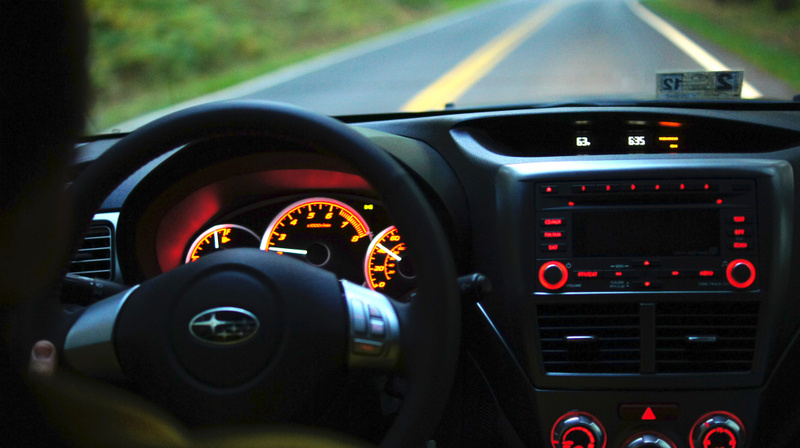 And you also know what the emotional tone is going to be because the music is provided and you have a lot of data. So when you hear a beautiful ballad, it's our job to then serve that music. We know that the emotional content, so much of it is already contained in the way that the music rises and falls. So in a way, it gives us permission to underwrite a lyric so that it goes in tandem with this beautiful music and that it works together. Pasek: We have been very lucky to have had mentors and people who have supported our work, who have felt so strongly about it that we've never felt the need to protect an art form because we felt it so protected for us. Steven Schwartz, when we were in college, Justin handed him a CD once and then six months later he wrote like a 10-to-15 page email analyzing every one of our songs and telling us what was working and what wasn't and then explained: Your songs are good, but do you know what subtext is? Do you know what it means when a character isn't just singing exactly what they think? Paul: That combined with someone like Damien Chazelle or someone like Lin-Manuel Miranda, people who are at the forefront of pop culture right now, and what they care most about is musicals and making musicals and preserving musicals. It's an exciting time and I hope that we can be part of that.